Currently we have classes in the following locations. Over the course of this year we have new classes opening throughout Cheshire, please check back for more details. Monthly advanced technical training sessions for Red Belt upwards. Essential for all students wishing to promote to Black Belt and beyond. 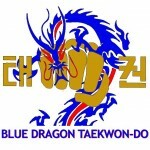 Monthly advanced training for our competition squad members and all those wishing to enter tournaments.